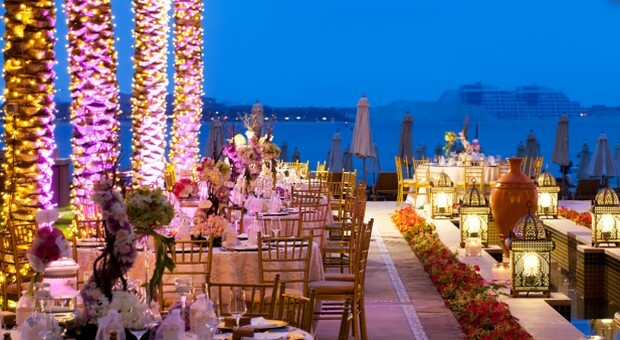 This week we’re delighted to put the spotlight on Fairmont The Palm, Dubai as a truly fantastic venue to start your “Happily Ever After” chapter. Its excellent position on the Palm and convenient location to central Dubai is just fantastic but it still offers the tranquility to escape the city. 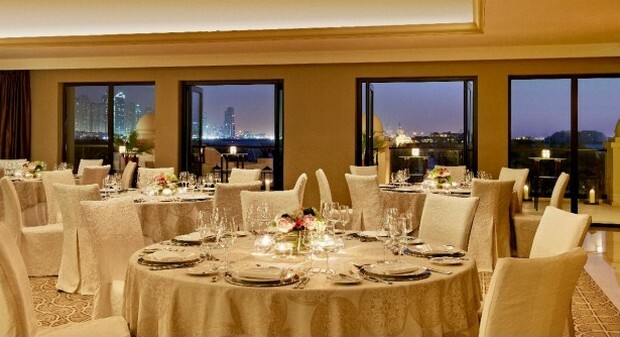 Here you can celebrate your special day in an unforgettable setting overlooking the Arabian Gulf. The hotel has a range of wedding venues to suit every taste; from a small and intimate gathering for 20 to a lavish reception for 500 guests. 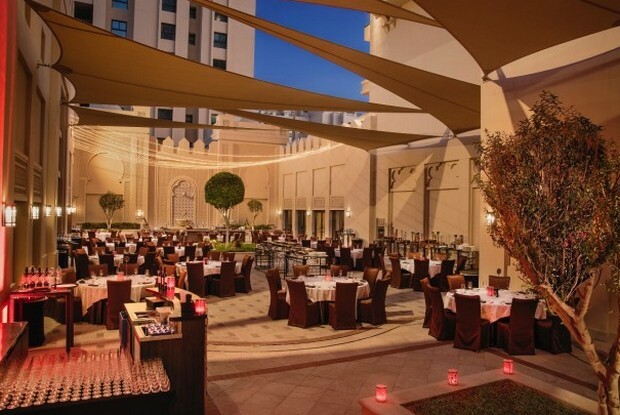 The Palm Courtyard is simply stunning and offers an al fresco setting. 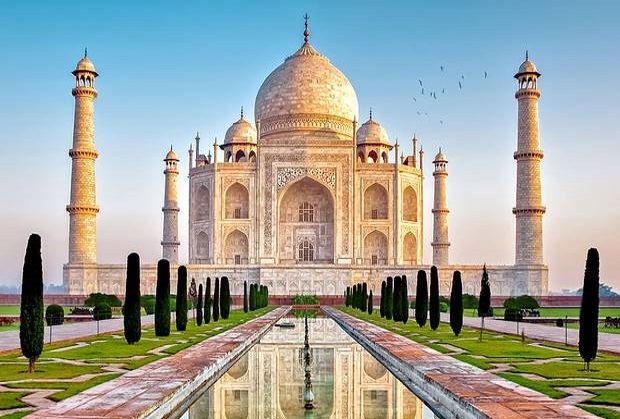 It’s Arabesque-themed architecture and landscaped space incorporates beautiful shaded spaces by day to a perfect star-filled night-time spectacle. 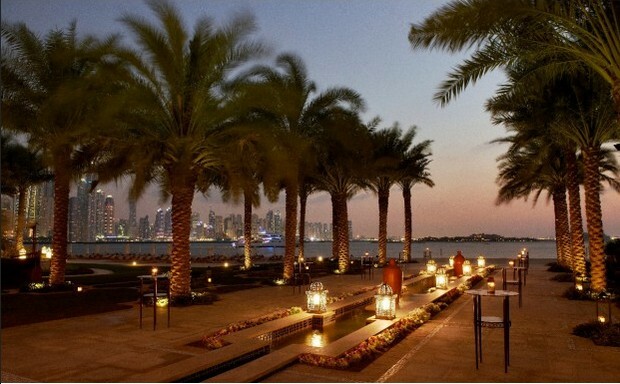 For absolute opulence have a look at the Palm Ballroom which has been designed with style at its heart. 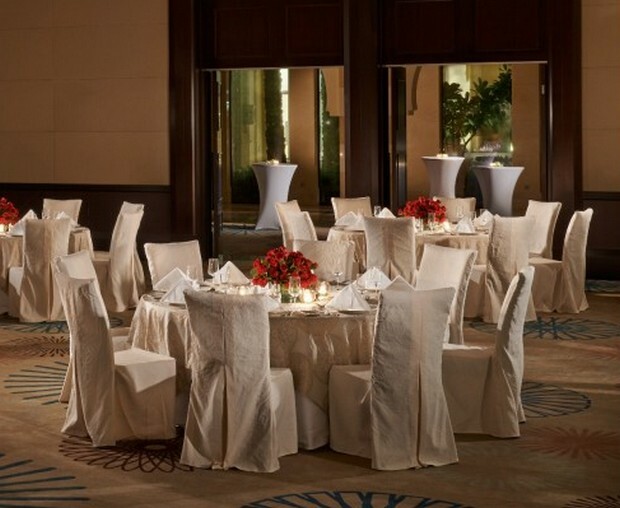 It can seat 350 for a banquet or up to 500 for a cocktail reception – so keep adding to that guest list! We love the fact that it’s a blank canvass and can be magically transformed to match your theme. 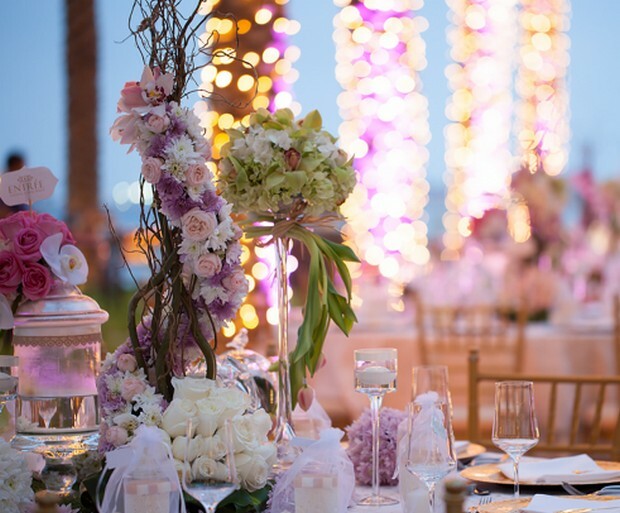 It has lots of beautiful natural light flooding in which will make your centerpieces sparkle. Their talented wedding team will help tailor the day to make it an unforgettable and unique gathering. Their focus is to really understand your vision of the day and do all they can to deliver it. 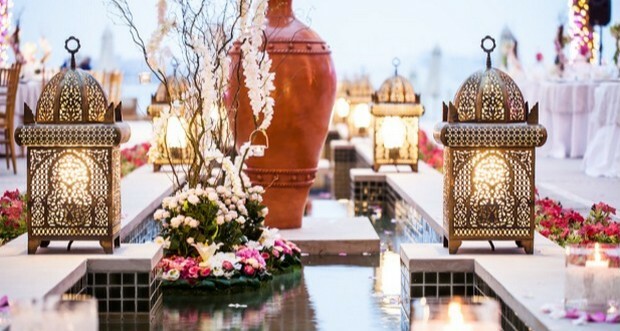 From the selection of your flowers and linen to the support of the Executive Chef in designing the ultimate wedding feast for you and your guests. The hotel offers 3 fantastic packages that will give you the royal touch: The Duchess, The Princess and The Queen! Each package offers a wide choice of international cuisines, crafted by their dedicated team and you and your fiancé and two guests can enjoy a complimentary tasting session to plan your perfect banquet. Also included is a 2-night stay at the resort, wedding concierge, a three-tier wedding cake and valet parking for all your guests.